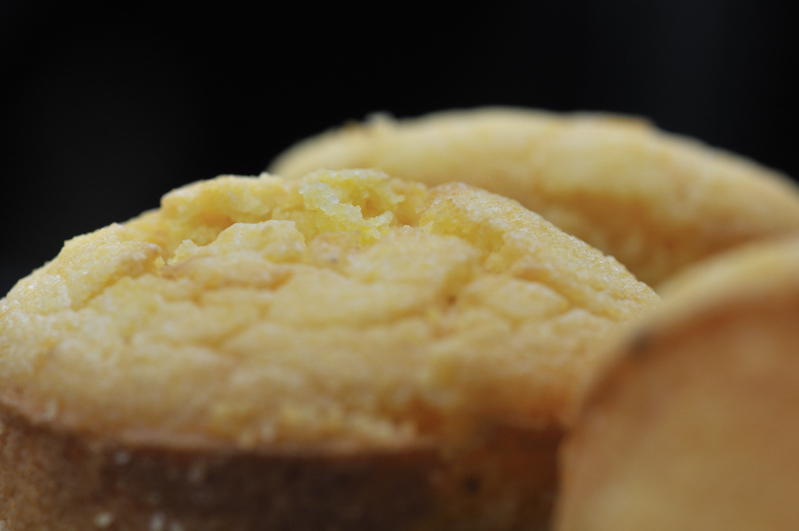 What is wrong in the recipe is......... the type of polenta, major ingredient in a polenta muffin, wouldn't you agree. In order to make these gorgeous muffins, here professionally photographed by the very talented Anne Mortensen, I confidently grabbed the polenta packet which was in the pantry. Wrong. To make these Savoury Polenta Muffins you imperatively need a quick-cooking polenta, sometimes labeled minute-polenta otherwise you will end up, like me, with slightly grainy muffins. This recipe is worth trying, especially if you are "souping" these muffins are filling and taste really good (or so they should) so have a go and let me know. 1. Grease your muffin tin with melted butter, set aside. 2. Get a large bowl; add the milk, eggs and 50g melted butter. Whisk together. 4. Next, add the dry ingredients to the wet then stir with a wooden spoon until they are only just combined. If you mix it too much the polenta bread will be tough. 5. If you want to add any of the different flavours I suggest; put a few spoonfuls of the mixture into a separate bowl, gently mix with the extra ingredients then spoon each individual into a muffin tin. 6. Once all of the mixture is in the muffin tins, bake for 15 minutes or until golden and just barely firm enough for a skewer to come out of the centre dry. Any idea what this is.......?